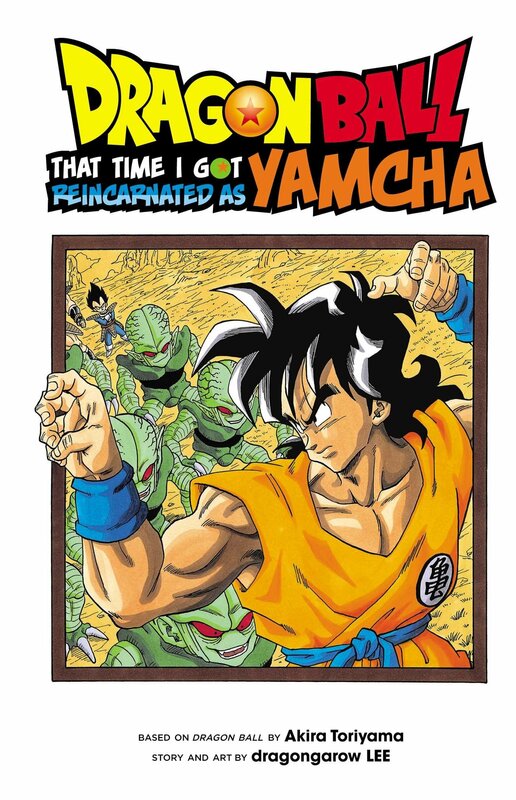 Dragon Ball: That Time I Got Reincarnated as Yamcha is an odd spin-off manga written by “Dragongarow Lee” (I’m going to go out on a limb and say that’s a pen name…) for the digital arm of Shonen Jump! known as Shonen Jump! +. Mr. Lee was just a fan drawing (admittedly spot-on looking) fan manga based on Dragon Ball before he was contacted by several of the Shonen Jump! editors who had this funny idea of doing a “reincarnated as” storyline in the Dragon Ball world and had it approved by Toriyama himself. Must have been quite the shocker for him, but good on him for having his unlikely dream of drawing Dragon Ball for Jump! actually come true! That is until he remembers that Bulma eventually goes with Vegeta and he becomes irrelevant, so he decides to use his knowledge of Dragon Ball to make Yamcha strong enough to kill Vegeta in the Saiyan arc and stay with the lovely fictional woman. Using methods like travelling to Namek and getting Guru to unleash his hidden potential, he gains the needed strength, but can he, as such a big fan, screw the plot up by that much?! That’s the… drama, I guess! There is also a plot about another person who was similarly reincarnated, but I’ll leave the details out of that one. The core story is only three chapters long, and although there’s two much shorter bonus chapters that take the page count quite a bit past the triple digits, it’s not a long read. Dragongarow Lee also included a two-page extra comic depicting his journey from receiving the call to finding out it was going ahead, before exclaiming his shock that he has an officially released collected book on the shelves. He really does come across as a nice guy, it has to be said! DRAGON BALL GAIDEN: TENSEI SHITARA YAMCHA DATTA KEN © 2017 by BIRD STUDIO, dragongarow LEE/SHUEISHA Inc.